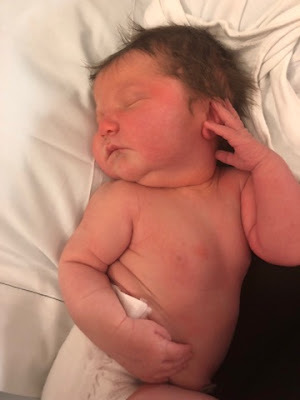 I'd like to introduce you all to our sweet little Grand Daughter, Penelope Joy! We are sooooo happy to finally meet her and are over the moon in love! Born October 17, 2017 at 5:03 P.M. 7 pounds 11 ounces, 20 inches long. The happy little family is doing well and adjusting to less sleep, but more love! Gramps gets a snuggle too! First Family Photo. Tim, Lori and sweet little Penny. One of my favorite photos, doesn't it look like she is saying, Look Nana, I'm A Mermaid! She has completed our family! Oh and let's not forget Hank, his world has been turned upside down. He is getting to know his little sister more each day! 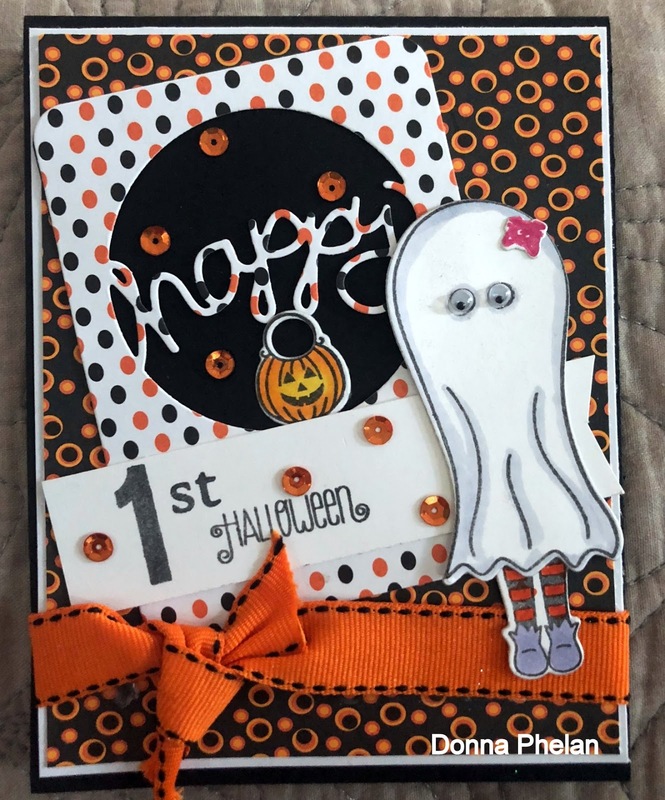 Here are a few cards I have made that sweet, sweet baby so far! I mean c'mon.....how cute is he???? This card will be entered into the Challenge at Simon Says Wednesday, Anything Goes. Big Brother Hank And Sweet Baby Penny. 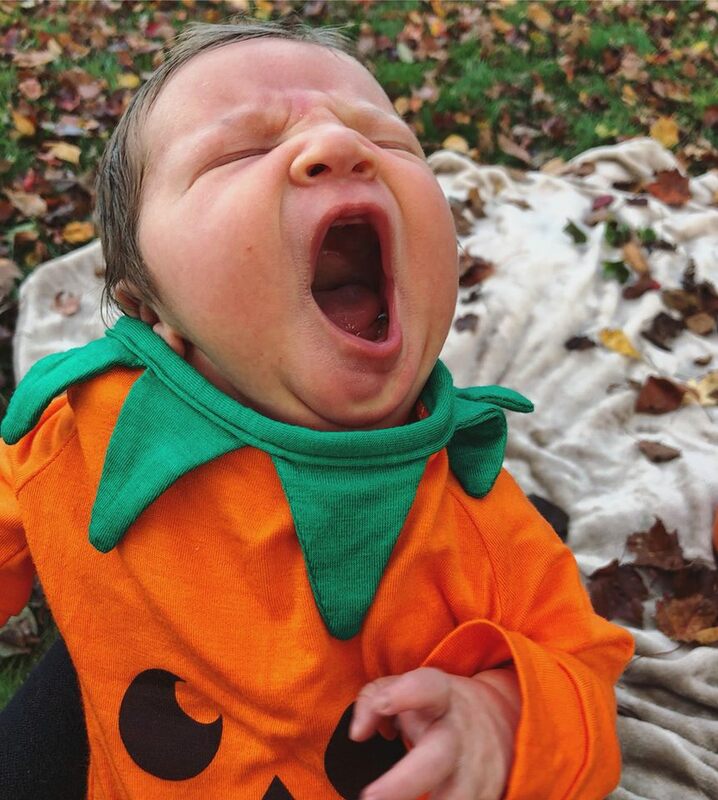 The Prettiest Pumpkin In The Patch, Albeit The Sleepiest One! Absolutely cute: the baby and the bear card. 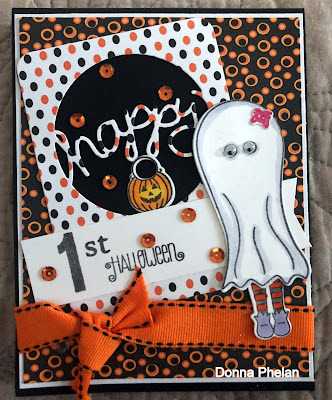 Thank you for joining Simon Says Stamp Monday Challenge! Congratulations!! Enjoy your sweet little granddaughter, Penny. I so enjoyed your post with the introduction to your new granddaughter. I can see how proud you are, and all of the love that you have for her. Life will be so grand from now on. So many new experiences and joys to have. You can record them all in the cards that you make for her. Well Hello Little Miss Penelope Joy and welcome! She's just precious Donna and she has no idea what fabulous times are coming up for her at Nana's house!! Thanks so much for sharing the photos but how come we didn't get to see your face while snuggling Miss Penny? 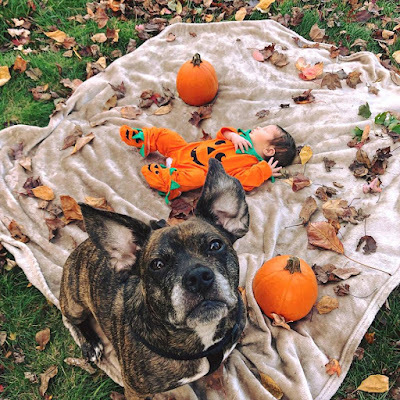 Oh how precious she is, I bet you are over the moon, You have made her the sweetest cards, I just love the bear one, and her first halloween is too cute, I love the one with Penny on the blanket and Hank looking up, too cute! Your lives have been changed forever. Even though I have seen all these photos before, I can't stop smiling. 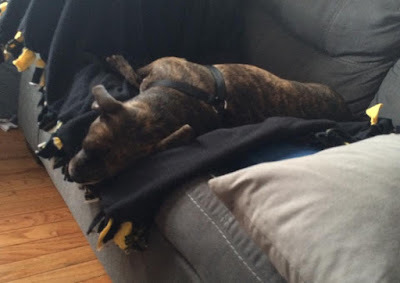 She is so beautiful, and you all are so lucky - as is Penny. Love your cards too, she is going to have so many pretty cards to save - you are such a good Nana!!!! What fun pictures... thanks for sharing them wit us. I love her sweet Halloween costume. All your cards for her are too cute and I am sure Mom will save them for her and give them to her when she is an adult. Congrats to you and your family, Donna, and welcome to Penelope Joy - what a wonderful name! I enjoyed your photos and your cards, especially that hinged Teddy one - too cute! Thanks for playing along with us at the Simon Says Stamp Wednesday challenge! Congratulations Grandpa and Grandma! Little Penelope is a sweetheart, no doubt about that. And, when she gets older she will love all the cards you have made for her too! Best wishes to her whole family and I am so glad that your family will have so many wonderful memories to make from now on. Little ones always change things for the better. Beautiful photos of a beautiful baby girl, such beautiful cards for her too! OMGoodness what sweet, sweet photos, like everyone says enjoy her to the fullest they grow up fast but wha ta FUN FUN journey along the way!! I have 18 (yikes..yep) grandchildren and 4 greats and I love every single adorable one of them!! She is so sweet what wonderful pictures...oh and LOVE the cards too...you go grandma!!! Sorry for the belated congratulations Nana & grandpa. Penelope Joy is a beautiful treasure. And your cards will be treasured by her forever.